For historic racing and classic car fans, there’s only one place to be in August, and that’s the MontereyPeninsulafor the Rolex Monterey Motorsports Reunion. There are 550 extraordinary historic race and sports cars entered that represent nearly every era of motorsports – doing what they were constructed to do, and that’s rev their engines in anger on a beautiful, yet challenging race track. The wide open race paddock greets guests who can walk right up to the famous Can-Am cars that originally roared through the hills between 1967 and 1974. Fans can also explore the garages where premier 1966-1983 Formula 1 cars are prepped for the high-speed F1 group. And for pure American muscle, step back in time to the pony war days of the late ‘60s where Boss Mustangs, Camaros, Barracudas and Javelins shook the asphalt with the rumbling powerplants. As featured marque, Jaguar is rolling in a host of rare Coventry Cats that repeatedly captured the world’s attention. The 50th anniversary celebration of the stunning E-Type will assuredly serve notice that the finest examples of this iconic sports car will be present in the Jaguar Heritage Display, which spotlights the company’s racing lineage. 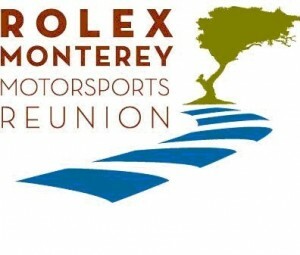 Advance General Admission tickets for the Rolex Monterey Motorsports Reunion are $50 Friday, $70 Saturday and $60 Sunday. Children 12 and under receive complimentary race admission.